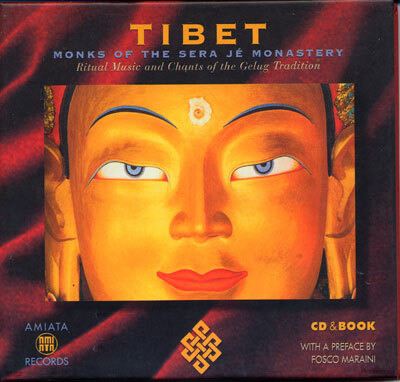 The ritual music of the Tibetan monks of the Sera J? Monastery is the leitmotif of this spiritual journey through Tibetan culture. The 96-page hardcover CD Book features exceptional photographs of Tibet and the Sera Monastery prior to its destruction in 1959, and gives an overview of Tibetan culture (Buddhism, history and the present-day scenario) and ritual Tibetan music. The CD presents some of the principal rituals and is a colourful pageant invoking a pantheon of wrathful and peaceful deities, guardians, spirits, and realized masters of their lineage. Chanting, horns, drums and cymbals combine to create a profound meditative, esoteric experience. Format: Hardcover CD Book with 96 pages of text and full-colour illustrations.